A few weeks ago I had the opportunity to attend a private screening of Alfonso Cuaron's Gravity. Because it is not due to be officially released until October 4th, I held back from writing anything about it until now lest it be forgotten. The reason being, this is a movie I highly recommend. Gravity is a very simple movie: it's about a pair of American astronauts who survive a horrific accident while trying to repair a satellite and must do all they can to stay alive. One of the brilliant aspects of a good simple horror movie are the astoundingly complicated things it says about human nature, both on the screen and within one's self. The human imagination can probably think of no more frightening scenario than being alone in space where, as the Alien tagline put it, "no one can hear you scream". Gravity captures this isolation in a way few other space movies have, with only two characters depicted in the entire movie (ground control voices not included), played by Sandra Bullock and George Clooney. Though the actors may seem like flashy props to sell some tickets, they are simply great in their respective roles. 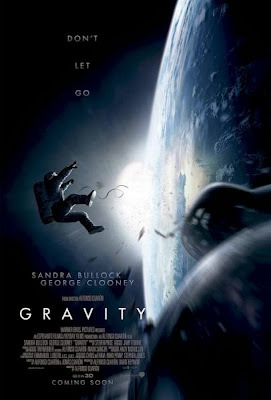 Clooney is his comfortably charming self as the veteran astronaut; Bullock, as a computer genius on her first space mission, is sweet and frightened, but also sharply intelligent, noble, and brave. Their characters shine in the suspenseful moments of this intense stress-inducing adventure. For about an hour this thrill-ride will destroy your nerves. Having said this, I am not simply recommending this movie because it's a beautiful and fun thrill-ride with some of the best and most enjoyable 3D filmmaking to date. Rather, this movie begins by showing how far technologically we have come as a human race, and like a gun shot it drives us deeper and deeper into despair as the situation gets out of any possible human control, until a moment of hope is depicted on the screen. Without giving away any essential spoilers, I will say that this moment begins with a prayer, then there is a close up shot of an image on the screen, then there is a hopeful visitation, and then salvation. 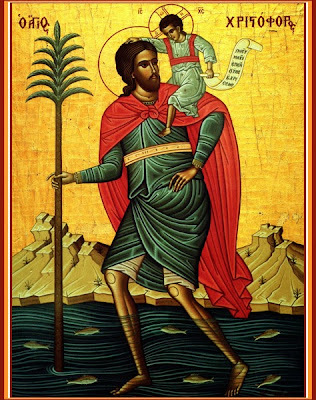 This moment is depicted in a way that can be open to a few interpretations, one of them being a miracle. 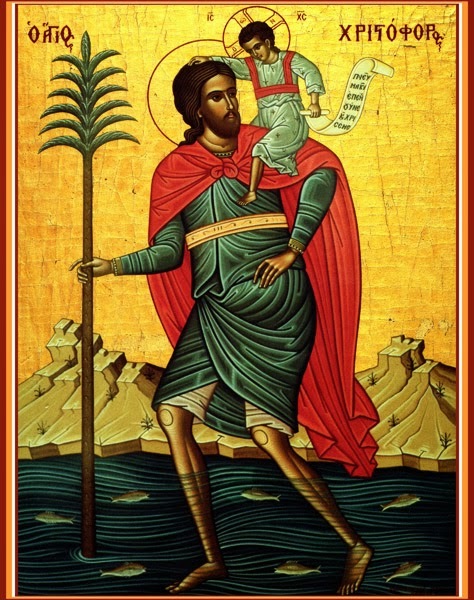 This is suggested in the image that hangs freely suspended in gravity, which is none other than a close-up shot of the icon of Saint Christopher, patron saint of travelers, left there by Russian Orthodox astronauts, and is depicted in the style below, with him carrying the Christ-child on his shoulder across the river. As for why this icon has a primary shot in the movie, I will leave it to the viewer to draw their own conclusion.